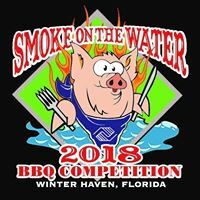 Bond Clinic Partners with Boys & Girls Club for Annual Smoke on the Water - Bond Clinic, P.A. Bond Clinic, P.A. 100% of funds raised from this event go directly to Boys and Girls Clubs in Winter Haven, Lake Wales and Haines City. So stop by the Bond Clinic tent and get some Tropics swag while your there! Tickets: $1 at the door (kids 12 & under are free).